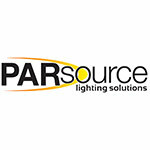 PARsource has over 20 years of experience in the horticulture and lighting industry. Their seasoned production team and technical resources staff have made them a leading greenhouse lighting company in the country. Since 1991, PARsource has developed the best available horticultural lighting products. Their in-house R&D staff, combined with Lighting Sciences, Inc. (LSI: America's foremost lighting engineers), have made PARsource a leader in high performance greenhouse lighting. As a result, PARsource offers some of the most efficient light fixtures in the industry.